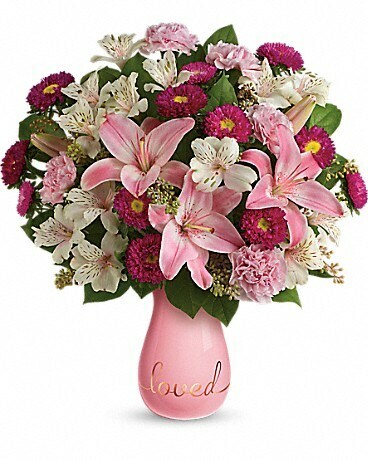 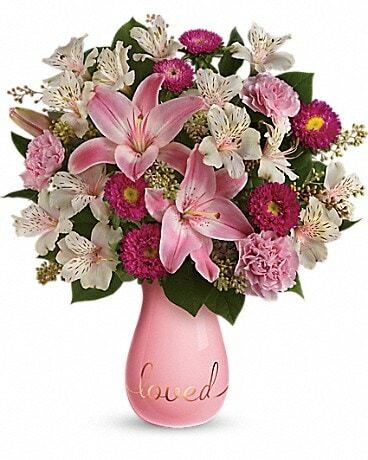 Soft and sweet, this lovely bouquet of fragrant pink lilies and hot pink asters spoils them with Valentine's Day style! 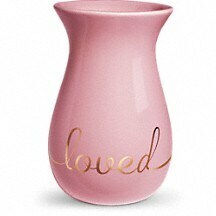 They'll adore the glazed pink ceramic vase adorned with golden "loved" script - and they'll adore you, too! 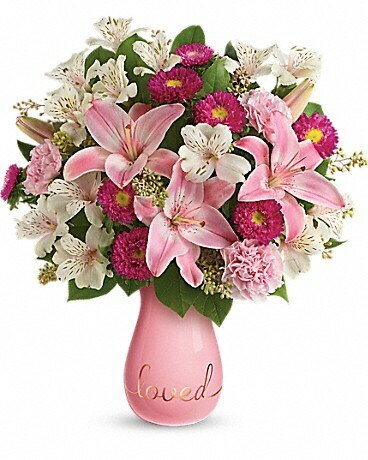 This lovely, glazed pink ceramic vase with golden script is part of Teleflora's exclusive Flowers-in-a-Gift collection.